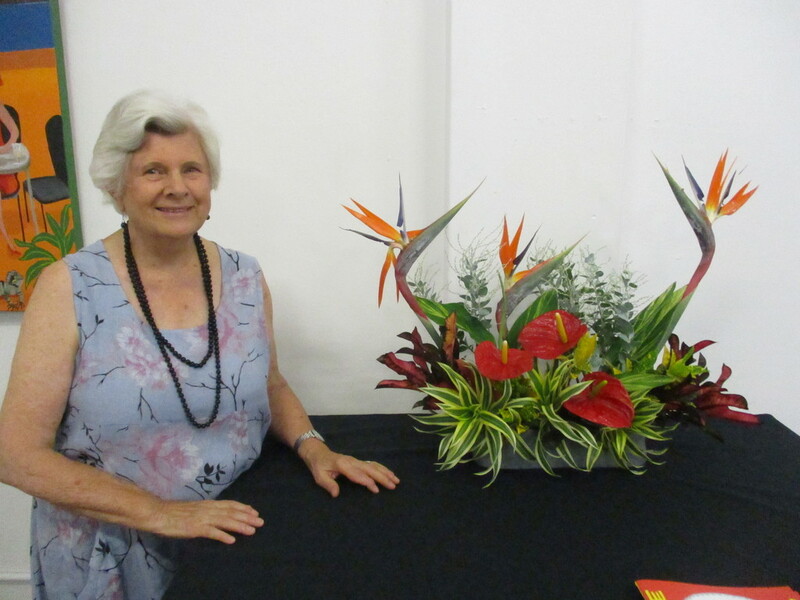 A lovely photo of you and a delightful and artistic floral arrangement Margo ! You are very talented Margo! A beautiful arrangement and a lovely photo of you. That's just gorgeous Margo! You do beautiful arrangements, I remember seeing some previously. I miss seeing Rachel's fabulous images, how is she? This is lovely - both the arrangement and the arranger! Beautiful photo of you and pretty floral arrangement! This is really beautiful, Margo. A fabulous shot of you and your beautiful arrangement. Wow a lady of many talents..
You and the arrangement look lovely! A beautiful pic. of yoy and the wonderful flower arrangement you`ve made. Lovely arrangement and flowers and a great capture of you Margo . You look great and your daughter is really talented! Wow, that is a really beautiful arrangement! You are so talented! Hello! Grand shot of you and the amazing arrangement! Love the colors and textures! What a beautiful arrangement, and a lovely photo of you too.